The word “Phin” is derived from the French word “filtre”. The brewer is somewhere between a French press and a drip coffee maker, and uses percolation, not pressure as a mode of converting water and beans into coffee. The most common coffee maker in Vietnam, perfect for brewing a single cup of intense deliciousness in a traditional Vietnamese way. Preheat the Phin set thoroughly by rinsing with hot water. Grind the coffee to a sea salt coarseness and load into the inside chamber. Place the filter insert on top of the coffee. 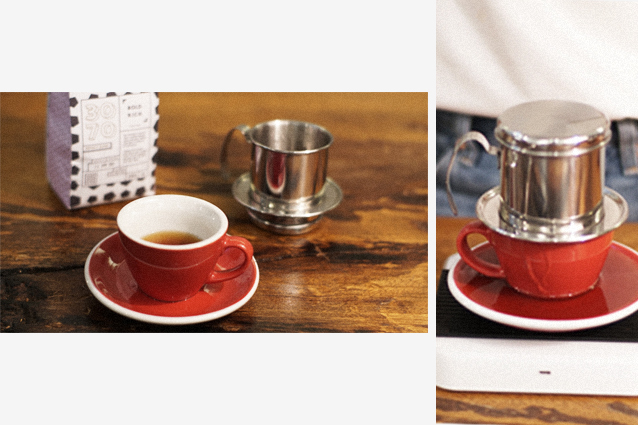 Spin once and tamp down the coffee to achieve an even extraction. Place the Phin set on your favourite mug. Pour just enough water (or approx. 20 grams) into the chamber to cover the coffee. Relaxing over a 1-min cartoon while you wait for the coffee to “extract”. 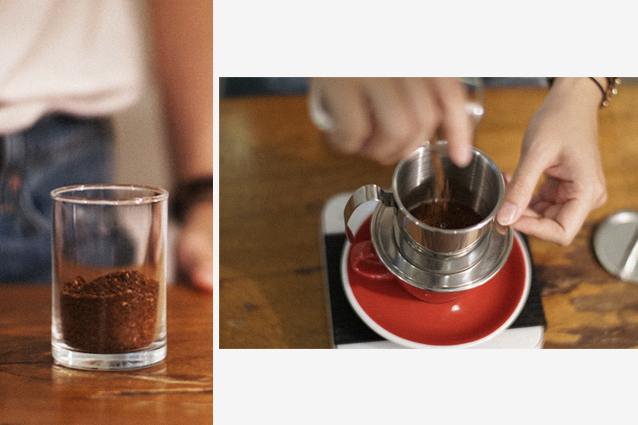 Adjust the filter insert if it is tilted and tamp again. 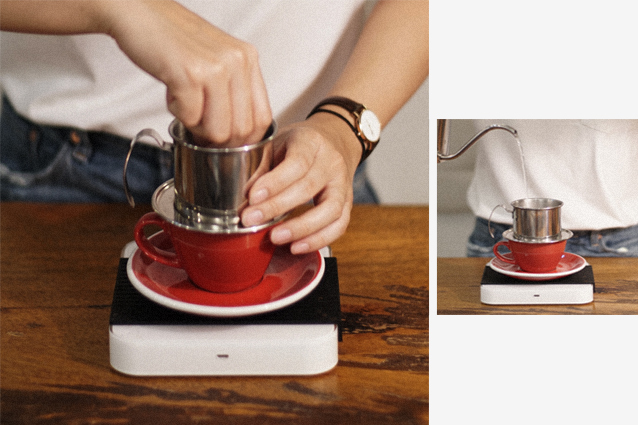 Pour 50 – 80 grams of boiling water into the chamber, depending on how strong you like your coffee. The dripping should take around 5 – 8 mins.